What are your chances of seeing a UFO? Over in some Facebook groups about UFOs, critical ufologist Curt Collins was recently wondering about an oft-cited statistic that your chances of seeing a UFO are one in three million. Curt asked, "Is that a reasonable estimate?" The problem is also not just about math. What does it mean, "To see a UFO?" Fortunately, we do have some numbers now that we can use to calculate such odds. Namely, the Canadian UFO Survey. I pointed out that: "We know that one in ten Canadians say they've seen a UFO. With a population of 35 million, that is indeed close to one in 3 million." During the 25 year period, we had 14,620 cases. Those cases included known witnesses of 25,108 people, although we had 752 cases where the number of witnesses was unknown. If we conservatively assume one witness per each of those cases, that gives us 25,876 witnesses. The population of Canada in the final completed year of our survey (2013) was 35,160,000. Of course the population of Canada hasn't been static during that time. In 1989, the first year of the study, the population was 27,282,000. If one simply takes the average, that gives us 31,221,000. Doing simple cross multiplication, that gives us 31,221,000/25876=1,207. This is odds of 1 in 1,207 over 25 years of having a UFO sighting, using the basic definition of UFO. During that 25 year period, we had 1,846 cases that were "unknown." They had 3,710 known witnesses, plus another 44 cases where the number of witnesses was uncertain, giving us 3,754 minimum. If one then further limits the numbers to the cases with a higher reliability rating (7 or higher out of 10 in our database), that gives us 1,247 witnesses. Using the population number above of an average population of 31,221,000, it gives us odds of 1 in 25,037 of having a high quality UFO sighting over the 25 year period. We had a minimum of 1,966 witnesses in 2013. With a population of 35,160,000 in 2013, that is odds of 1 in 17,884 over the year. Then multiplying by 365, that would give a daily odds of 1 in 6,527,000. So actually worse than what was originally stated. But keep in mind this is the odds of course of a UFO sighting on a single day, rather than one's lifetime. If we look at high quality sightings only, we only had 13 witnesses of high quality sightings (2013 was a little worse than normal). That was odds of only 1 in 2,704,615 over 2013. The daily odds would then be 1 in 987,184,615. Again, that is odds of a high quality sighting on an individual day, based on 2013 data which was worse than normal. This is still substantially worse though than what the polls tell us, which imply odds of having a basic UFO sighting (not a high quality sighting) of no worse than about 1 in 10 over a lifetime. Okay, I'll stick my neck out. This is all getting much sillier than previous years. First of all, the whole debate about Bushman's "deathbed confession" is absurd. The photos of the "alien" are clearly unfocused shots of a plastic doll, whether made my K-Mart or not. And the photo of the alien "ghost" is beyond preposterous. This reminds me to the entire Adamski series of photos and claims, which no one today takes seriously. The parallels are obvious. If Bushman didn't simply make things up, the mere existence of this debate being entertained among serious UFO researchers is likely evidence of disinformation, or trolling by debunkers to divide ufology. Secondly, I have to comment about the shift in focus from abductee cases to contactee claims. 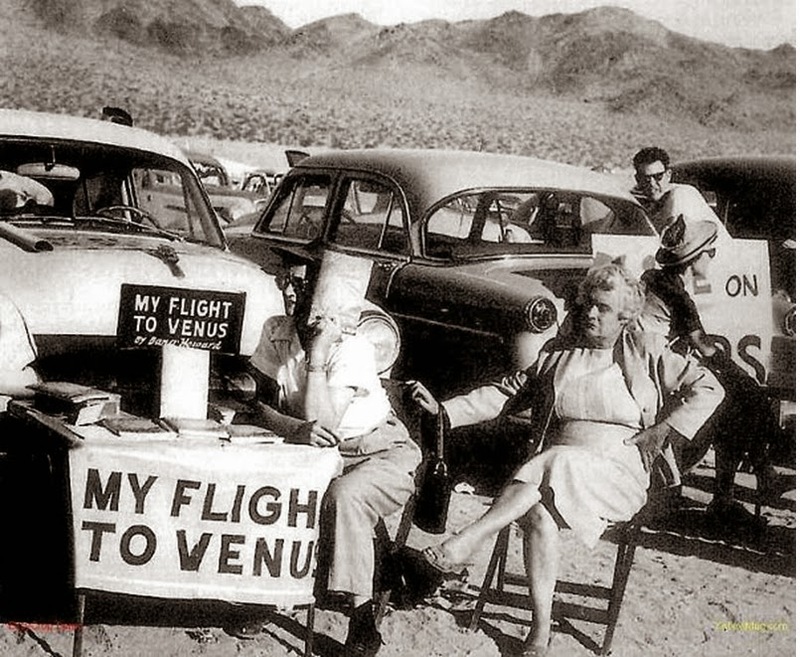 Contactees flourished in the 1950s and 1960s when ufology was less than enlightened. The myriad of contactees claiming contact with ethereal aliens and entities back then was amusing at best, with everyone and his dog (literally) setting up shop at Giant Rock to hawk their pamphlets about aliens' warnings about our environment, nuclear missiles, warmongering and dietary fads. That was in the 1950s, and it's all back with a vengeance. Telepathic contact with alien entities? Been done better by George King. "Walk-ins" by aliens to impart advanced knowledge? Howard Menger, and he even married one. Experiencers camping out in the desert to "vector" spaceships? 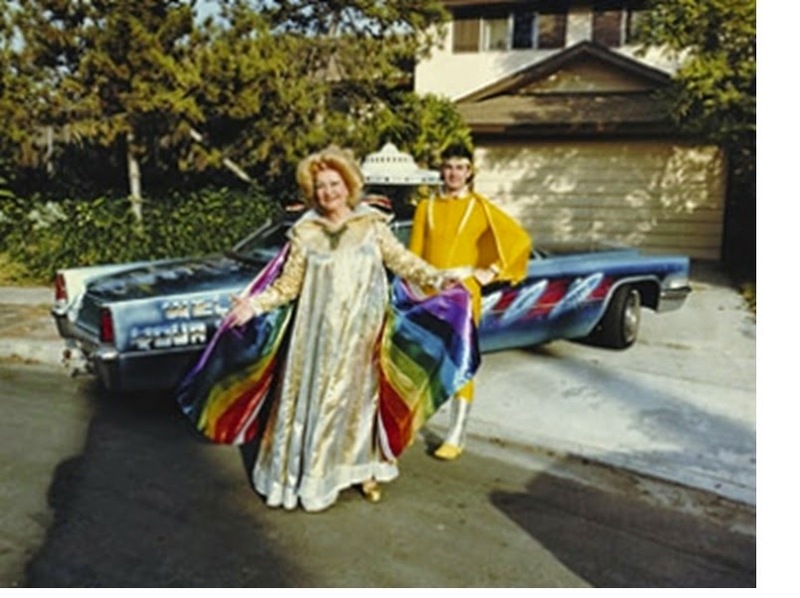 Ruth Norman did it first, and with better outfits. And in all cases, not a shred of good evidence to support any of it. It's enough to make a seasoned ufologist sell pasta sauce.